What qualities compose trust and confidence in the Renaissance? What signs call it into question? This seminar seeks to identify points of congruence and contention in sixteenth and seventeenth century notions of trust and how they might be betrayed. From the stage Machiavel who discloses his plans to the audience to the kinsman who pledges his fealty, or the lover who exchanges his faithful vow, how did trust differ across such different domains as religious and political life or familial relations? It is hoped that papers will cross a range of genres including early modern poetry, prose, and drama, as well as major and minor authors. The intended outcome will be to publish suitable papers in a special issue of Textual Practice. This seminar will be part of the interdisciplinary MatchPoints Conference 2014 at Aarhus University, Aarhus, Denmark, 22-24 May 2014 (www.matchpoints.au.dk). Plenary speakers include Robert Putnam (Harvard University), Eric Uslaner (University of Maryland), Gerd Achenbach (Lessing-Hochschule zu Berlin, Philosophische Praxis), Mikael Rostila (Stockholm University), Alison Findlay (Lancaster University), Svend Andersen (Aarhus University), Cheryl Mattingly (University of Southern California), Sverre Raffnsøe (Copenhagen Business School). Please send 150 word proposals to engjs [at] hum.au.dk by 15 January 2014. The Cardiff School of English, Communication and Philosophy wishes to make the following appointment, tenable from 1 September 2013. Senior Lecturer or Reader (Grade 8). Candidates will have an established national, or emerging international, reputation for excellence in research and a commitment to teaching and to public engagement in Renaissance Literature. “The four Inns of Court were, according to Ben Jonson, ‘the noblest nurseries of humanity’. All highly influential in terms of their members’ legal, political and artistic roles, the Middle Temple proved a particularly fertile context. At the end of Elizabeth’s reign especially, the Middle Temple saw many of its members involved in the creation, reception and development of literature and performance. Most importantly, perhaps, the Inn was a training ground for men who came to transgress and challenge societal norms, and whose future careers were to influence disparate areas of life, before, during and after the Civil War: from Sir John Davies’ work on dance, John Marston’s contribution to drama or Robert Cotton’s influence as an antiquarian to, in later years, the political impact of Henry Ireton or Edward Hyde, Earl of Clarendon. If a lie had no more faces but one, as truth had, we should be in farre better termes than we are: For whatsoever a lier should say, we would take it in a contrarie sense. But the opposite of truth has many shapes, and an undefinite field. 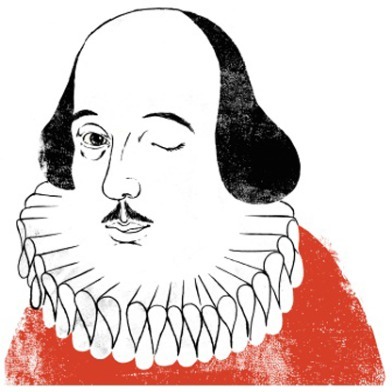 – The connections between law, emotion, and obligation, and how the works of Shakespeare and his contemporaries engage with these dynamics. – The formation and evaluation of bonds in the early modern world. – How public/private spaces affect attitudes towards truth-telling. – The relationship between faith, truth, and honesty in the Renaissance. – How belief and trust are generated. – The binding power of language and rhetoric. – Transmissions of knowledge, belief, and emotion. Proposals for 20-minute papers should include an abstract (of no more than 200 words), 3 keywords, and 3 citations, and should be emailed to earlymodern@st-andrews.ac.uk. We are happy to consider proposals for panels; in the event that we are unable to accommodate the panel, papers will be considered on an individual basis. All abstracts must be received by July 31st 2012. We welcome proposals from researchers at all stages of their careers, working in departments of Art History, Comparative Literature, English, History, Languages, Law, Theology, and other relevant subject areas. General questions can be directed to the conference organizers – Rachel Holmes and Toria Johnson – at earlymodern@st-andrews.ac.uk. In conjunction with the Centre for Mediaeval and Early Modern Law and Literature (CMEMLL), with generous support from the Society for Renaissance Studies. The panel will hopefully take place at The Renaissance Society of America conference in 2011 in Montreal. To consider Hamlet’s “To be, or not to be” speech an audience must think about what the future might have in store. Like many other Shakespearean moments, Hamlet reflects on past experience and ponders what’s to come while seeming to be stuck in a moment. Besides the character’s expectations, however, the playwright may have had certain expectations of his players and the audience. Similarly, the audience may have expected something from the title of the play, the place where it was being performed, or which company was performing it, for example. From a publishing point of view, the title pages, author and even printer may have created expectations, too, for a reading audience. Shakespearean Moments, therefore, include the expectations of authors, actors, theatregoers, readers, editors, critics and publishers.